In October 2017, scientists observed a strange cigar-shaped interstellar object entering our solar system at an incredible speed. Then it suddenly accelerated and fled our solar system at 196,000 miles per hours. The object named Oumuamua, derived from a Hawaiian word that means a messenger who reaches out from the distant past, is 1,300 feet long (400 meters) long and about 130 feet wide. Now, an intriguing new study from astronomers at the Harvard-Smithsonian Center for Astrophysics offers that Oumuamua might actually be a light sail which is propelled by radiation pressure from the sun. When Oumuamua arrived in our solar system in October 2017 NASA spotted unexpected boost in speed and shift in trajectory as it passed through the inner solar system. 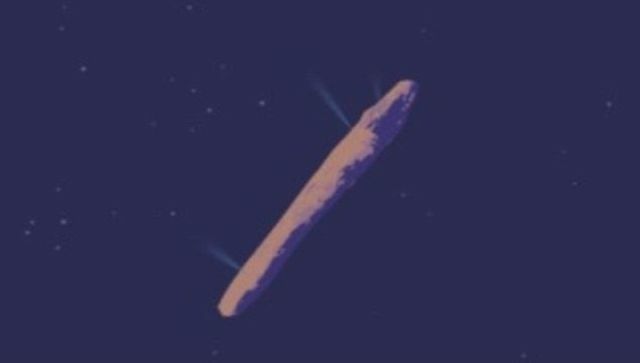 NASA not only concluded that Oumuamua must be very elongated because of its dramatic variations in brightness as it tumbled through space but they also concluded that vents on the surface must have emitted jets of gases, giving the object a slight boost in speed, which researchers detected by measuring the position of the object as it passed by in 2017.
Credit image NASA: Jets of gases or… Oumuamua’s Thrusters? 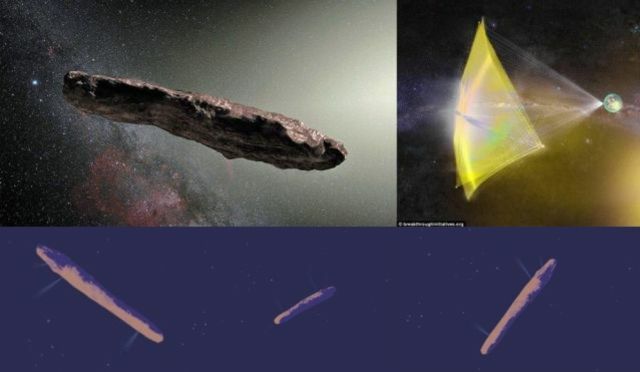 What we already know and now confirmed by Harvard astronomers; Oumuamua’s origin is extraterrestrial, an alien spacecraft floating as debris in interstellar space from advanced technological equipment that could have been investigating our part of the galaxy.